The inexorable spread of Alzheimer’s disease through the brain leaves dead neurons and forgotten thoughts in its wake. Researchers at Linköping University in Sweden are the first to show how toxic proteins are transferred from neuron to neuron. “The spread of Alzheimer’s, which can be studied in the brains of diseased patients, always follows the same pattern. But until now how and why this happens has not been understood,” says Martin Hallbeck. Through experiments on stained neurons, the research team – under the leadership of Martin Hallbeck, associate professor of Pathology – has been able to depict the process of neurons being invaded by diseased proteins that are then passed on to nearby cells. “The spread of Alzheimer’s, which can be studied in the brains of diseased patients, always follows the same pattern. But until now how and why this happens has not been understood,” says Hallbeck, who along with his research group has now published their results in The Journal of Neuroscience. 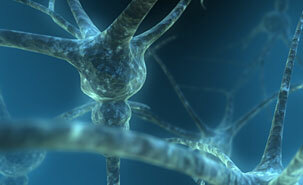 The illness starts in the entorhinal cortex – a part of the cerebral cortex, and then spreads to the hippocampus. Both of these areas are important for memory. Gradually, pathological changes take place in more and more areas of the brain, while the patient becomes even sicker. Two proteins have been identified in connection with Alzheimer’s: beta amyloid and tau. Normally tau is found in the axons – the outgrowths that connect between neurons – where it has a stabilising function, while beta amyloid seems to have a role in the synapses where the neurons transfer signal substances to each other. But in Alzheimer’s patients, something happens with these proteins; autopsies reveal abnormal accumulations of both. Why they become abnormal is still unknown, but what is known is that it’s not the large accumulations, or plaques, that damage the neurons. Instead, smaller groups of beta amyloid – called oligomeres – seem to be the toxic form that gradually destroy the neurons and shrink the brain. “We wanted to investigate whether these oligomeres can spread from neuron to neuron, something many researchers tried earlier but didn’t succeed,” Hallbeck says. The study was inaugurated with an experiment on neuron cultures, where researchers injected oligomeres stained with a phosphorescent red substance called TMR using a very thin needle. The next day the neighboring, connected neurons were also red, which showed that the oligomeres had spread. To test whether a sick neuron can “infect” others, they conducted a round of experiments with mature human neurons stained green and mixed with others that were red after having taken up stained oligomeres. After a day, approximately half of the green cells had been in contact with a few of the red ones. After two more days, the axons had lost their shape and organelles in the cell nucleus had started to leak. “Gradually more and more of the green cells became sick. Those that hadn’t taken up the oligomeres, on the other hand, weren’t affected,” Hallbeck says. The study is a breakthrough in understanding Alzheimer’s and its progress. If a way of stopping the transfer can be found, it could lead to a more effective inhibitor against the disease. Spreading of neurodegenerative pathology via neuron-to-neuron transmission of beta-amyloid by Sangeeta Nath, Lotta Agholme, Firoz Kurudenkandy, Björn Granseth, Jan Marcusson and Martin Hallbeck. The Journal of Neuroscience, 27 June 2012.